At Girling Law, we understand the potential challenges all landlords can face. While owning property can be rewarding, it can also pose many risks. Because of these risks, it’s vital that you consult a Wise TX landlord lawyer to protect your rights. Your lease agreement is a legally binding contract that lists the obligations and terms both landlord and renter must adhere to. While the State of Texas allows lease agreements to be either verbal or written, only a written lease will fully protect you. Unfortunately, verbal leases can be easily misconstrued and manipulated. However, a well-written lease firmly states every detail, making it nearly impossible to misrepresent. Texas preserves a tenants right to privacy. Because of this, your rights to enter a leased property are severely restricted. Even though the law doesn’t state a specific time frame for notifying tenants of entry, we advise giving at least 24 hours notice. We advise never entering a property that is leased unless for a reason outline in the lease agreement. Entering a property for any other reason not only opens you up to civil liability, but also allows your tenant grounds for lease termination. Texas law allows you as a landlord to determine the amount required for a security deposit. The law also lets you choose where that money is held. However, it is vital to remember that the law does state that you must return that deposit within 30 days of a tenant’s move-out date. Remember, no matter the reason you’ve deducted from your tenant’s security deposit, take detailed notes and records. These records can include pictures of damages, videos, and receipts. Should you fail to take detailed records, your tenant can dispute your reason to keep their deposit. Failing to return a tenant’s security deposit allows that tenant to sue you for three times the amount of the deposit, plus the cost of attorney fees. If you’re not entirely sure if you can withhold funds from a tenant’s security deposit, consult a Wise TX landlord lawyer before you make any decisions. In your lease agreement, you should outline your responsibility for property maintenance upkeep. Should you ever refuse to follow through with your maintenance responsibility, your tenant can make the necessary repairs instead. This will allow your tenant to deduct from their rent the cost of the repair. Most often, when a tenant conducts property maintenance, disputes arise. If these disputes ever leads to litigation, a Wise TX landlord attorney can help you defend your rights. If your tenant engages in one of the reasons outlined above, contact a Wise TX landlord lawyer to help you through the eviction process. When evicting a tenant for unpaid rent, the law requires you give three days notice before filing the eviction. 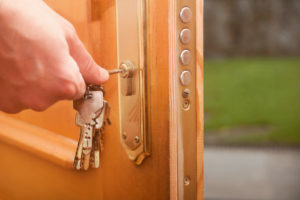 Our Wise TX landlord attorney is well versed in the eviction process, and will help you legally serve an eviction notice. Protect your rights as a landlord and contact Girling Law to speak to a Wise TX landlord lawyer at (817) 864-8228 today.